*You may have seen a few of these on previous corporate event venue features, but now they are also open to social events such as weddings! 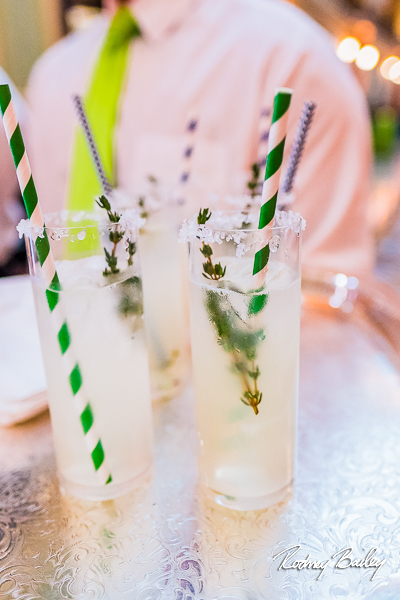 We love that most of these venues offer both indoor and outdoor options. 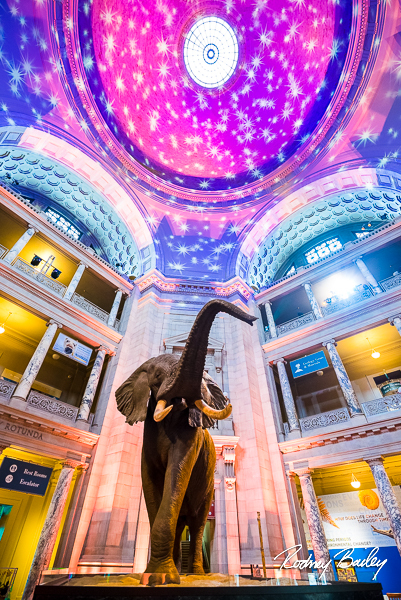 This grand Victorian building boasts a magnificent rotunda built for hosting one of the first presidential inaugural balls. 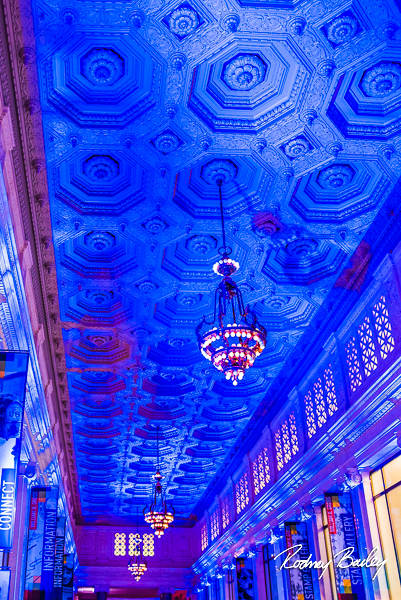 The indoor capacity ranges from 1,200 seated to 2,000 standing—more space than most weddings would need. Don’t need that much? Not to worry! The minimum is 120 guests, and the outdoor space comfortably seats 130 guests. Although this one will undergo renovations soon, the end result is sure to be spectacular. The current layout allows for 300 standing guests inside the gallery with 70 standing on the patio. If you’re looking for a breath of fresh air, they offer tented event space over the spacious landscaped grounds for up to 350 guests. We can’t wait to see the reveal after updates are complete! 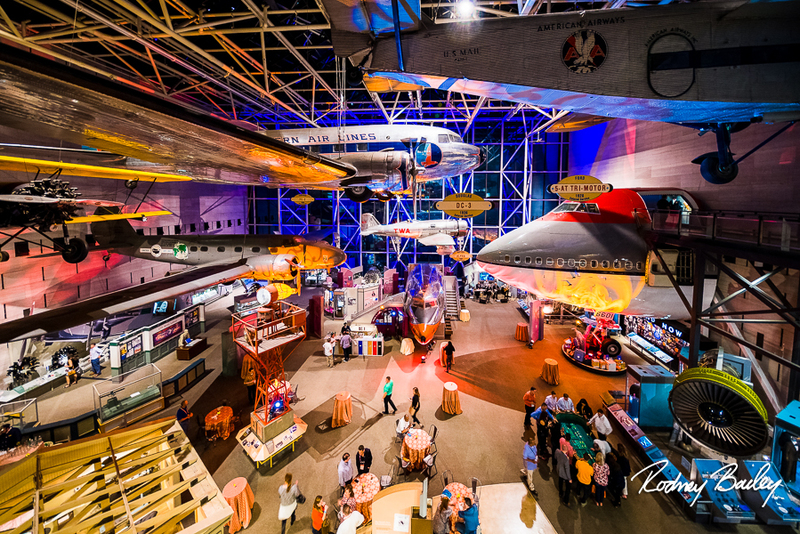 For a unique wedding experience, take flight into forever at the National Air and Space Museum as planes and spacecraft hang overhead, artfully suspended from the ceiling. Capacity ranges from 230 seated to 2,500 standing. This one is mesmerizing, and we think it’s one of the most romantic options. 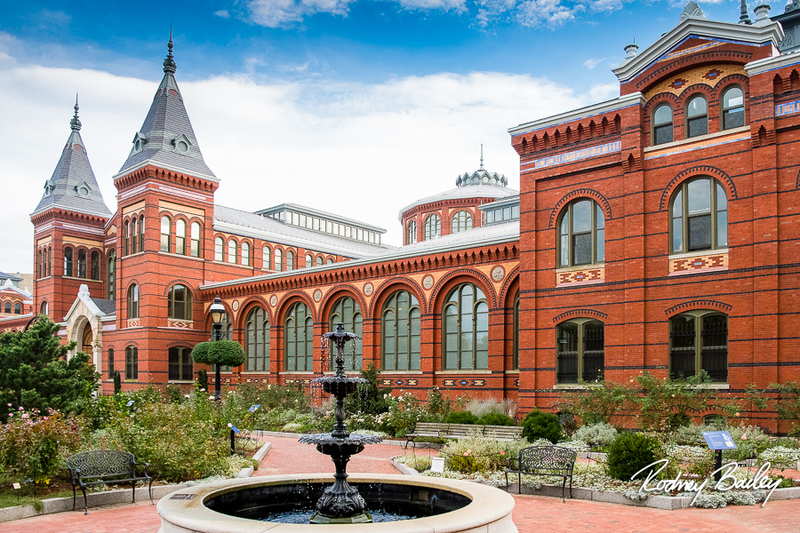 The central courtyard at the Freer gallery is filled with greenery and showcases a glowing fountain in the middle. White stone columns surround the intimate space equipped to accommodate between 80-300 guests (depending on your chosen space). Looking for a sleek, modern space? We love the Hirshhorn! 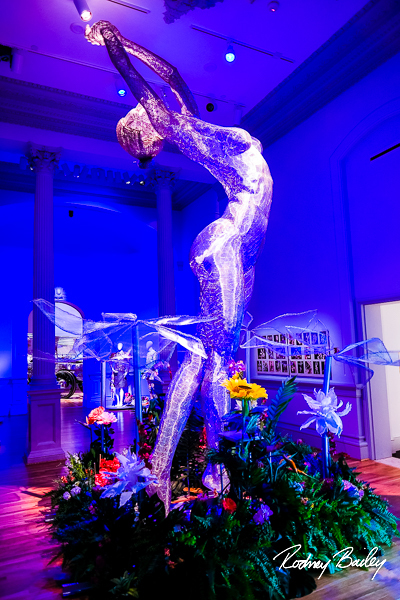 The Sculpture Garden can host 250 seated guests while the beautifully-illuminated museum hosts up to 1,000 guests. 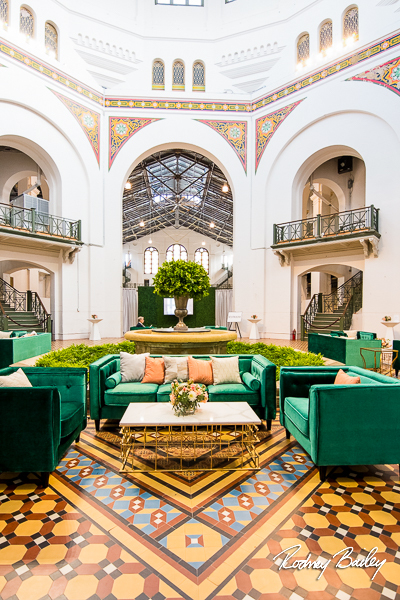 These two venues share a space, which make it extra customizable. 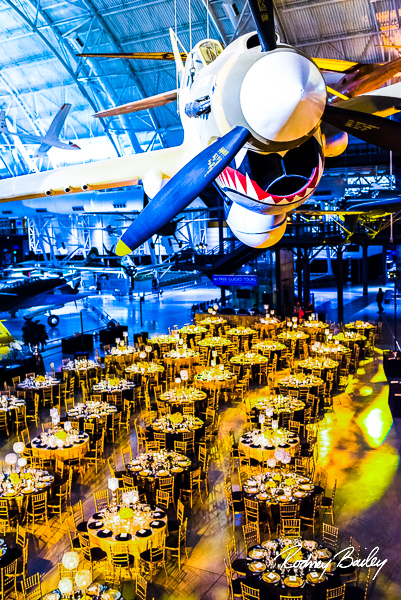 The guest capacity ranges from an intimate 40-person seated dinner all the way up to a 1200-person cocktail reception! 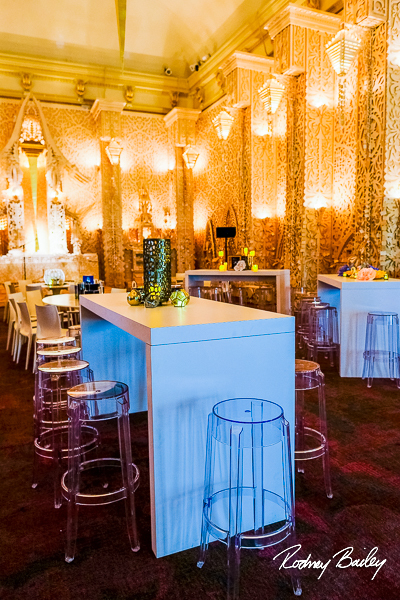 The possibilities are endless, and you couldn’t ask for a more sophisticated atmosphere. 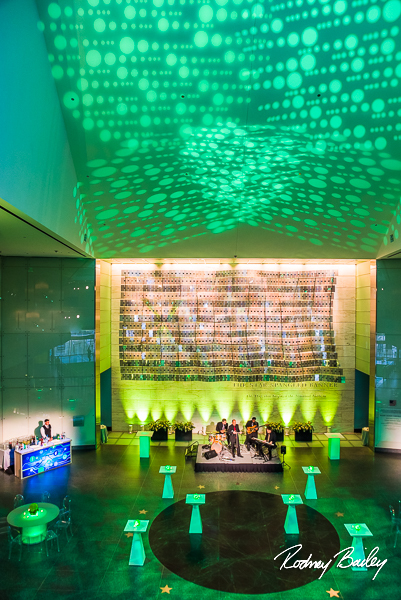 The Robert and Arlene Kogod Courtyard, with its elegant glass canopy, is one of the largest and most magnificent event spaces in Washington. 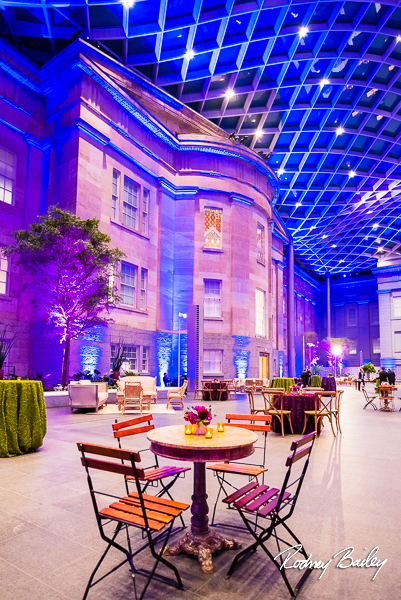 Designed by the world-renowned architectural firm Foster + Partners, the enclosed courtyard provides a distinctive, contemporary accent to the museums’ Greek Revival building. Wild at heart? We’re saving the best for last for you! 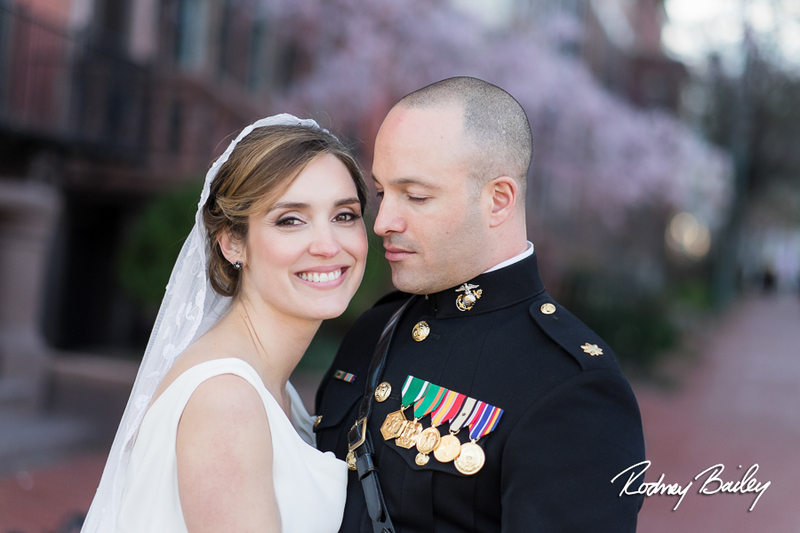 The National Zoo actually offers both indoor and outdoor space for weddings with phenomenal service—surprisingly, they’re equipped to handle everything on your wedding day from catering to entertainment…and more! 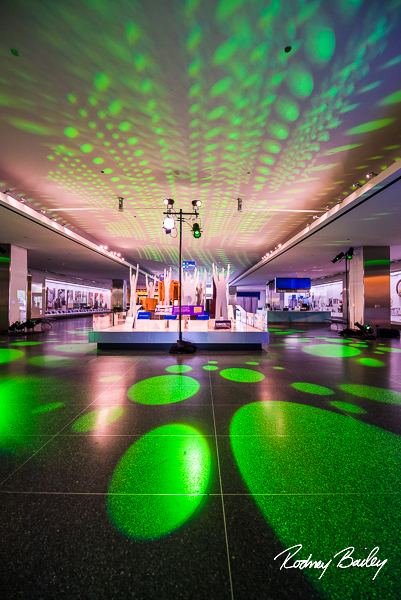 Flexible capacity ranges from 50-200 depending on the space—which even includes a dance floor! 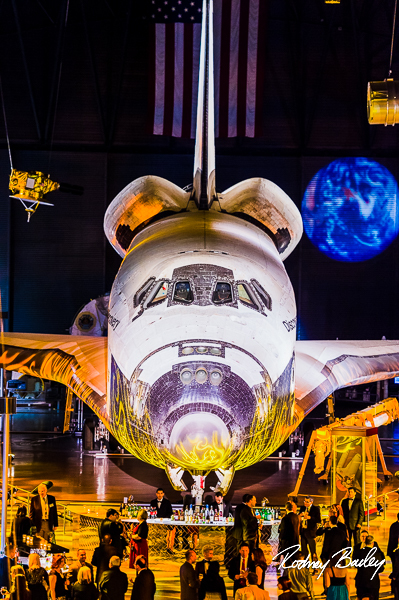 Want to see everything the Smithsonian has to offer? Visit their main Special Events website to learn more—you’ll find a list of all venues (some of which aren’t allowing social/wedding events yet). Happy planning! 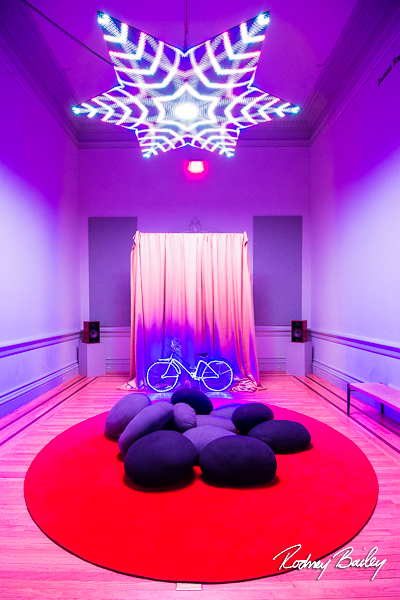 We’d love to connect with you and provide any guidance you may need from a photographer’s perspective—trust us, we’ve seen it all! Indoor. Max Capacity: 75-5,000 standing; 50-500 seated. 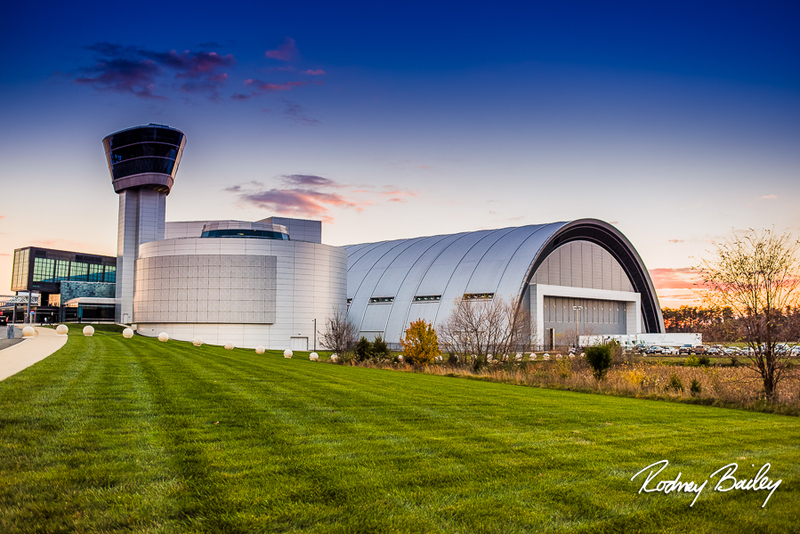 The Steven F. Udvar-Hazy Center is a state-of-the-art facility for the display of air and space artifacts in the Smithsonian’s collection. 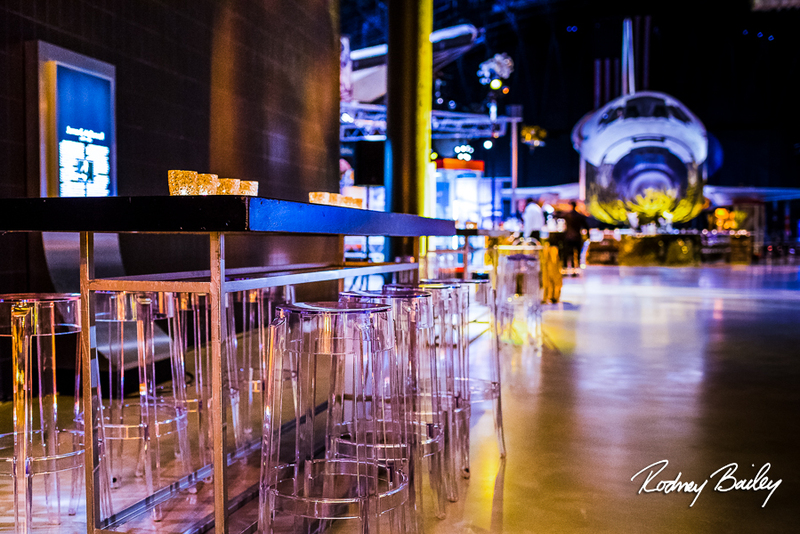 This spectacular space, featuring the massive Boeing Aviation Hangar and the equally impressive James S. McDonnell Space Hangar, provides a network of walkways, overlooks and balconies on three levels that are perfect settings for unique events. The entire facility will be yours to explore! 950 Independence Avenue, SW; 202-633-4649 | Indoor. Max capacity for weddings: 100-700 standing; 80-180 seated. Indoor, outdoor, and rooftop. Max capacity for weddings: 80-500 standing; 70-350 seated. 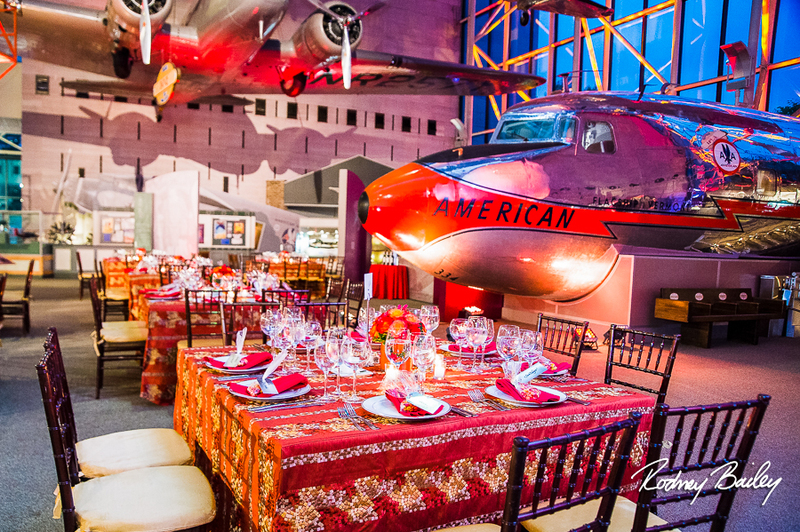 Make your next event an historic occasion at the nation’s only National Museum of American History! 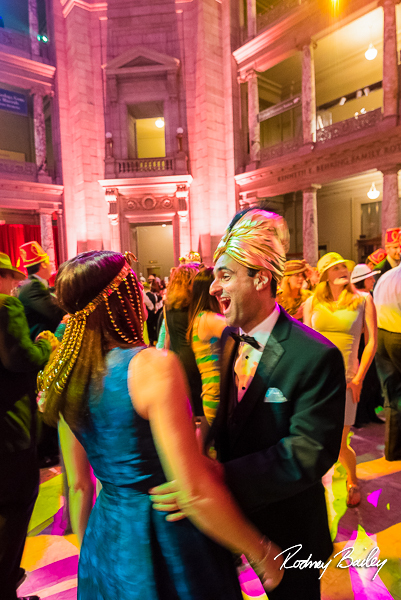 You and your guests may explore America’s heritage at a very special event, before or after hours. Corporations, associations, organizations, and now individuals (hurray!) 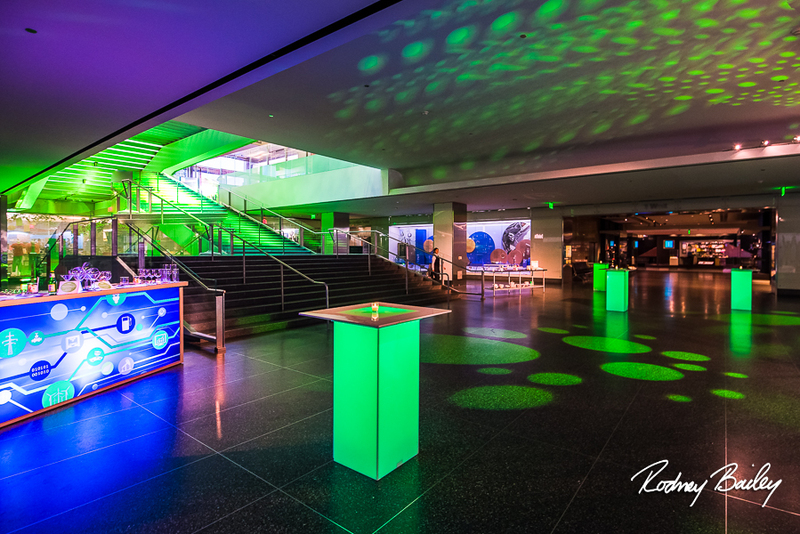 have an opportunity unavailable anywhere else to host a celebration right next to highly acclaimed exhibitions which tell the extraordinary story of the American people. 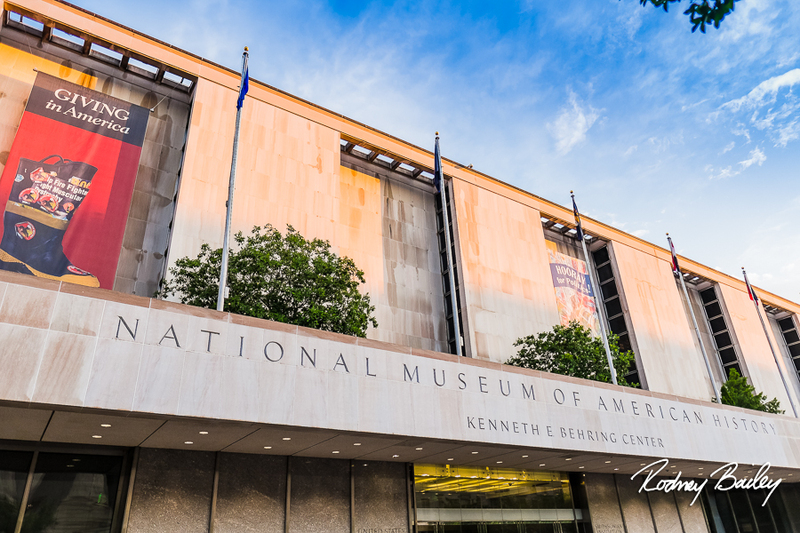 Exhibitions such as the Star-Spangled Banner; The American Presidency; First Ladies; The Price of Freedom; and America On the Move feature objects ranging from Thomas Jefferson’s lap desk, Kermit the Frog, George Washington’s uniform, Dorothy’s ruby slippers, to the first car to cross the United States, and thousands more. Indoor. Max Capacity for weddings: 300-3500 standing; 50-350 seated. 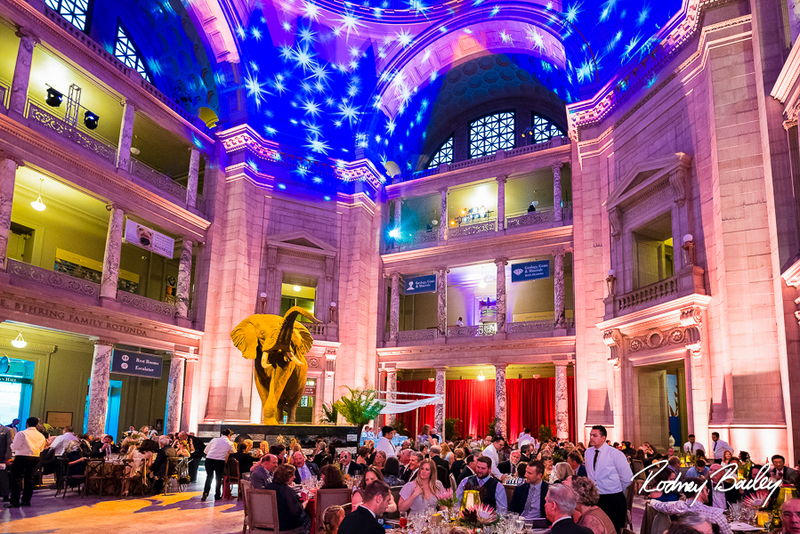 Dine with a dinosaur! Party with a pachyderm! Dazzle your guests with diamonds! 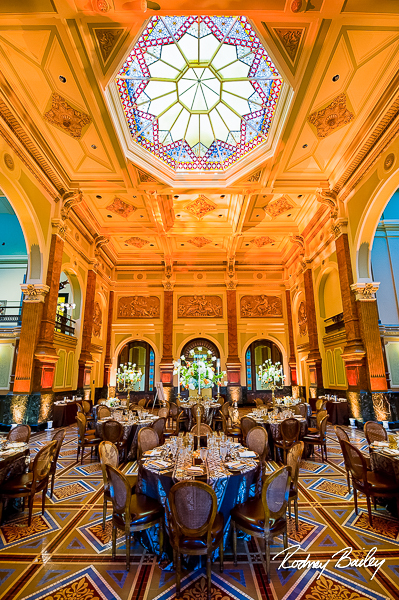 At your service – expert arrangements in a variety of dramatic settings, intimate or expansive – in the world’s largest natural history museum. 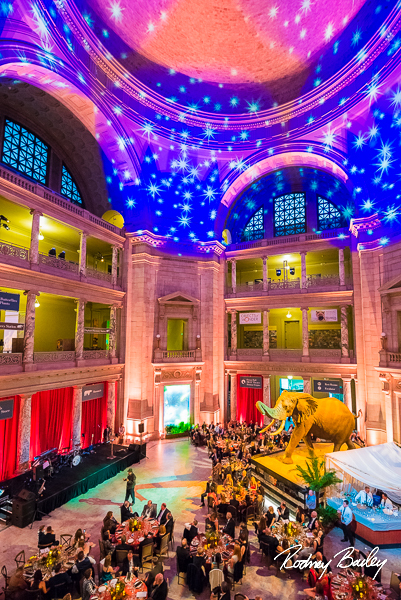 The Smithsonian National Museum of Natural History offers a unique and memorable venue for any event, from a seated dinner for 20 guests to a reception for 3,500. 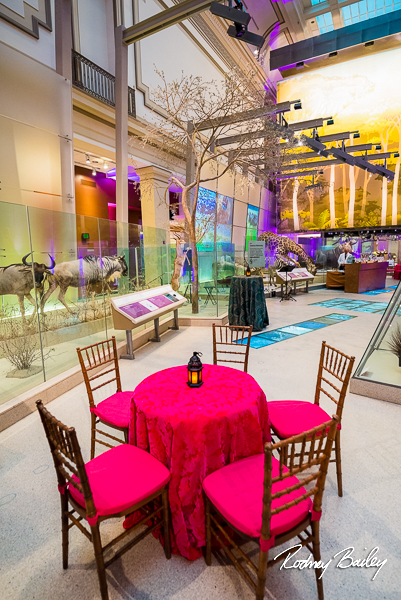 You and your guests can explore galleries that bring the natural world to life while enjoying an unforgettable evening. 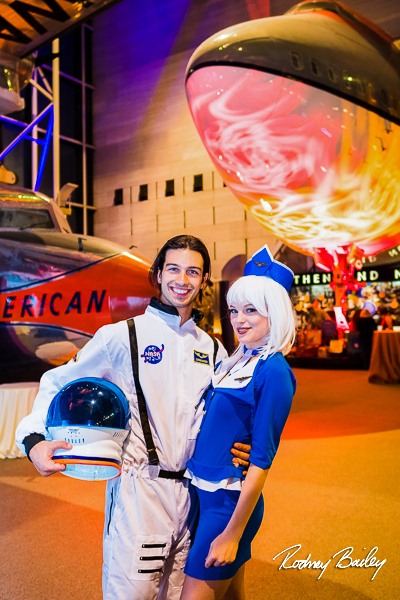 With our unparalleled collections and monumental architecture, the museum is a premiere site for after-hours special events. Max capacity for weddings: 75-375 standing; 40-150 seated (not including garden). 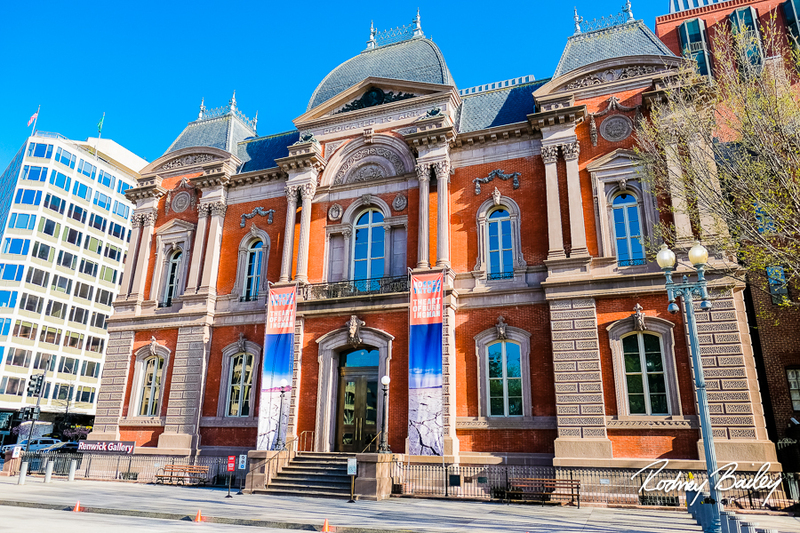 The Smithsonian’s National Postal Museum is devoted to the colorful and engaging history of the nation’s mail service and showcases the largest and most comprehensive collection of stamps and philatelic material in the world. 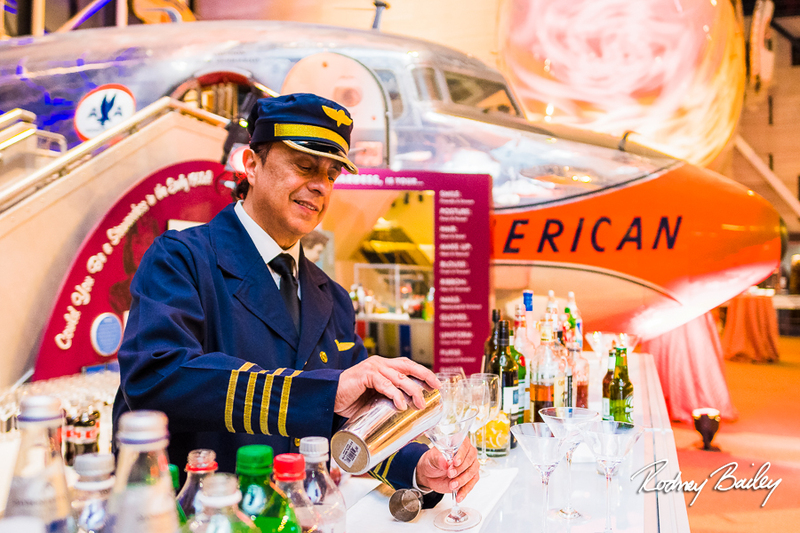 Located adjacent to Union Station, the museum offers ease of arrival and departure for guests. 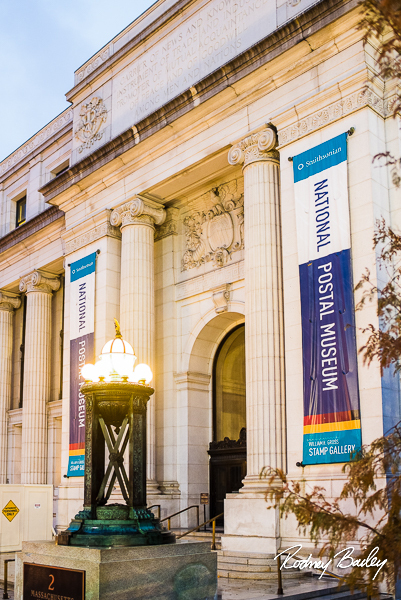 Just steps away from Capitol Hill, the National Mall, and many downtown hotels, the National Postal Museum is the ideal location in Washington, D.C. to entertain. 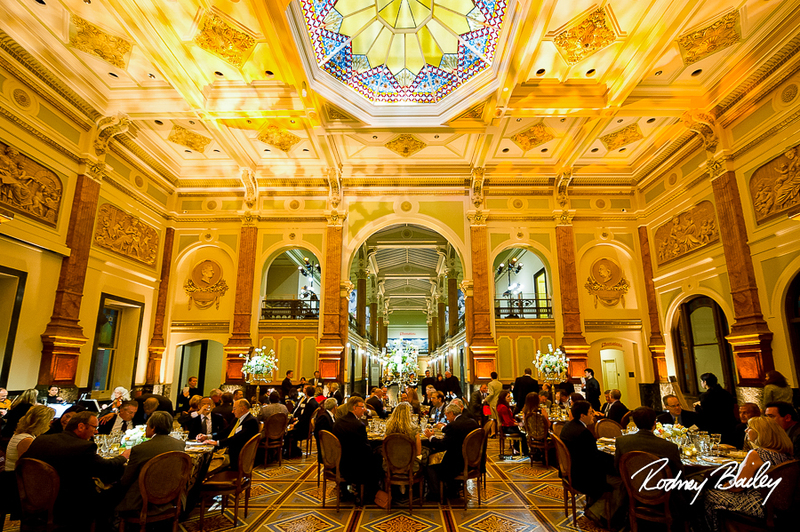 The Historic Lobby, with its grandiose rosette ceiling, elegant marble floors, and classical columns is one of the most magnificent and historic spaces in Washington. 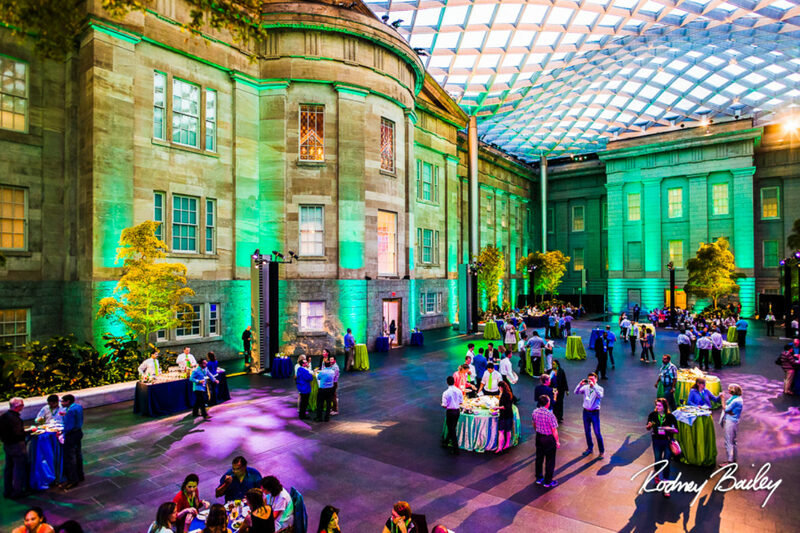 Guests are invited to explore the largest philatelic gallery in the world and access an outside terrace with a breathtaking view of the U.S. Capitol. 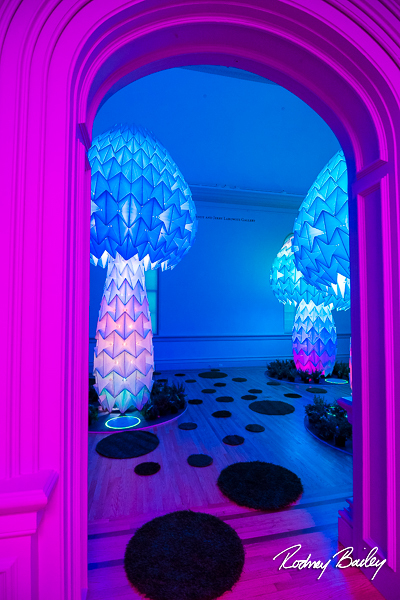 The recently renovated Renwick Gallery is located just steps from the White House. 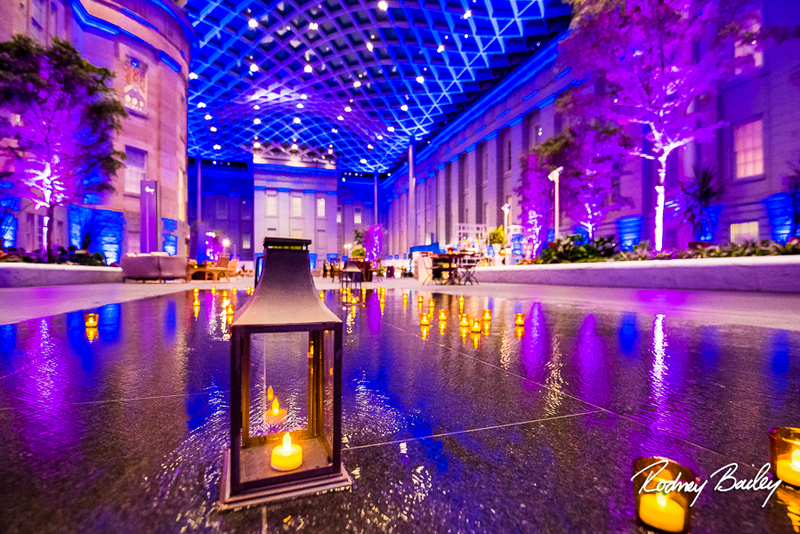 This branch of the Smithsonian American Art Museum and National Historic Landmark epitomizes sophisticated elegance. 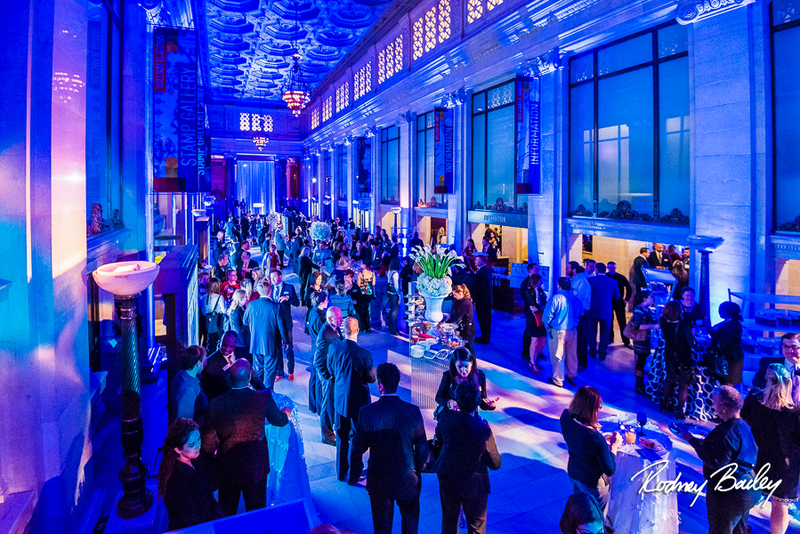 The Grand Salon—the museum’s centerpiece—has been restored in a sleek contemporary finish and boasts over 4,000 square feet of event space, perfect for an intimate dinner or magnificent cocktail reception.